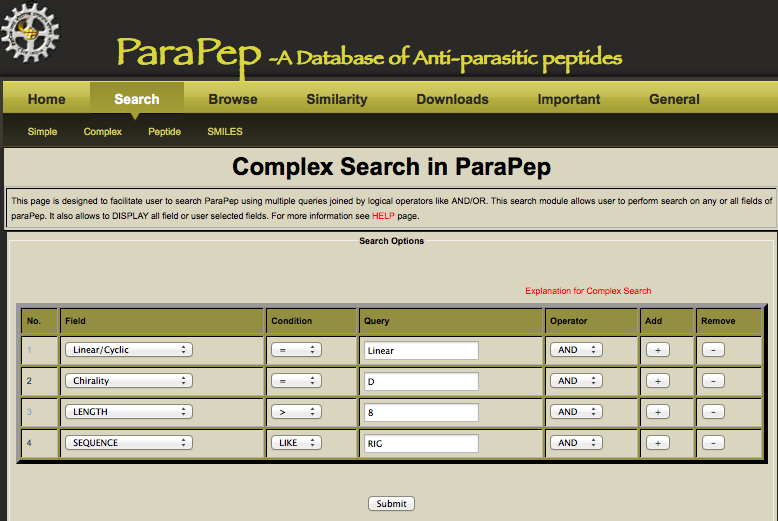 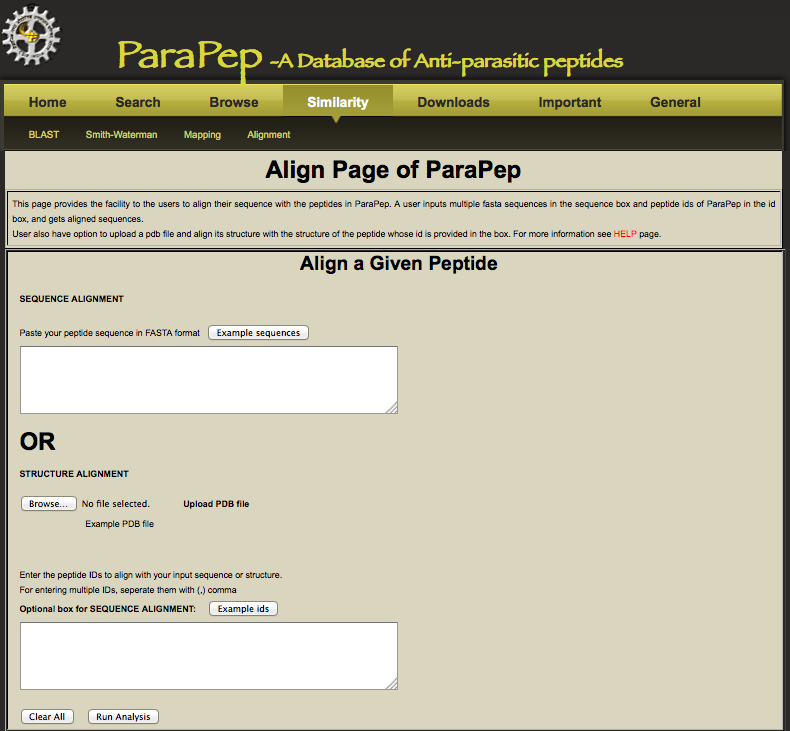 ParaPep: It is a manually curated repository of experimentally validated anti-parasitic peptides and their structures. 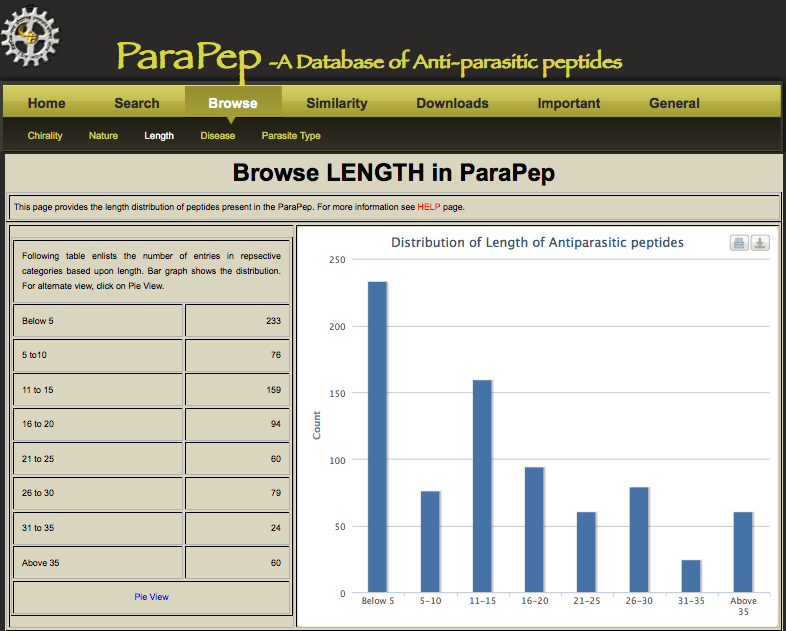 Data have been collected from research papers, published patents and other databases. 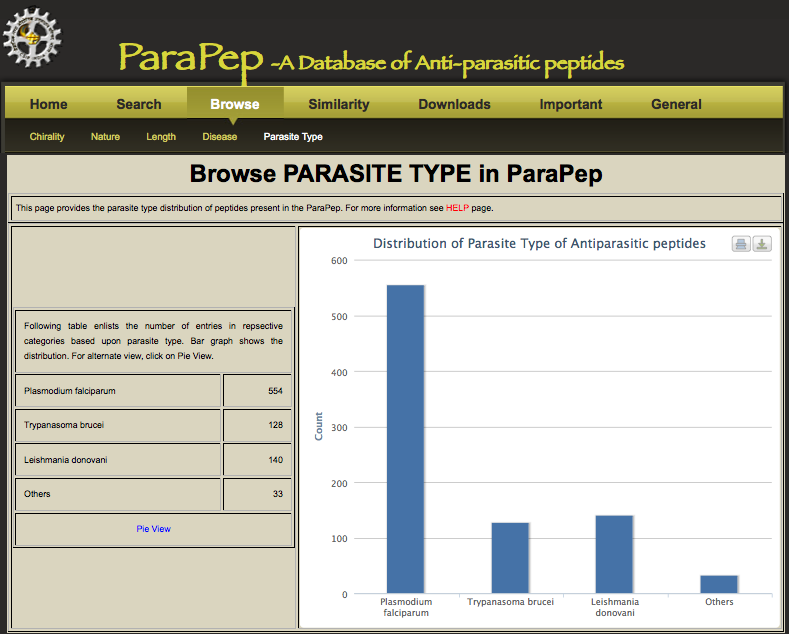 Peptide sequences: The current release of ParaPep contains 863 anti-parasite peptide entries, which have been tested against 12 different types of parasites. 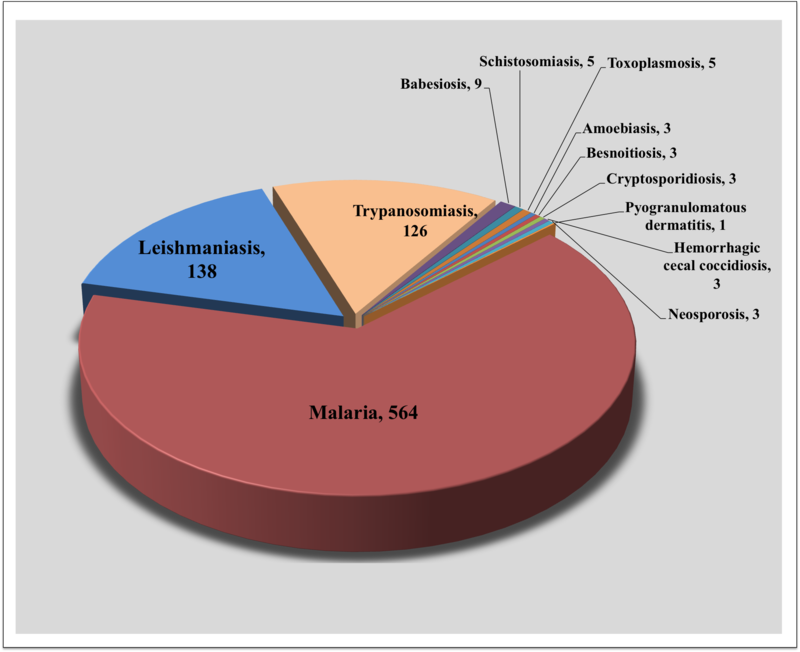 Most of the entries have been compiled for Malaria followed by Leishmaniasis and Trypanosomiasis. 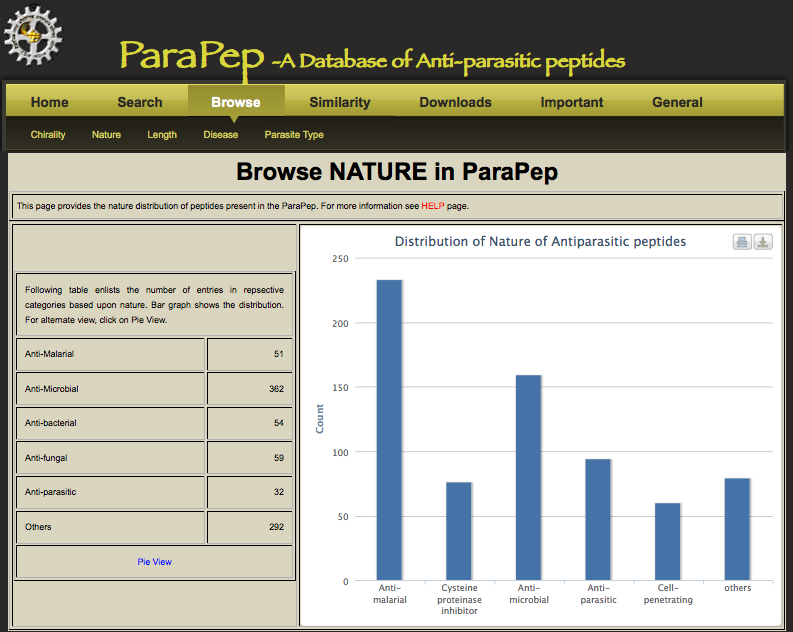 Type of Peptides: ParaPep consists of various types of peptides, which includes linear peptides, cyclic peptides and peptides having L-amino acids, non-natural amino acids (e.g., D-amino acid, ornithine, etc.) 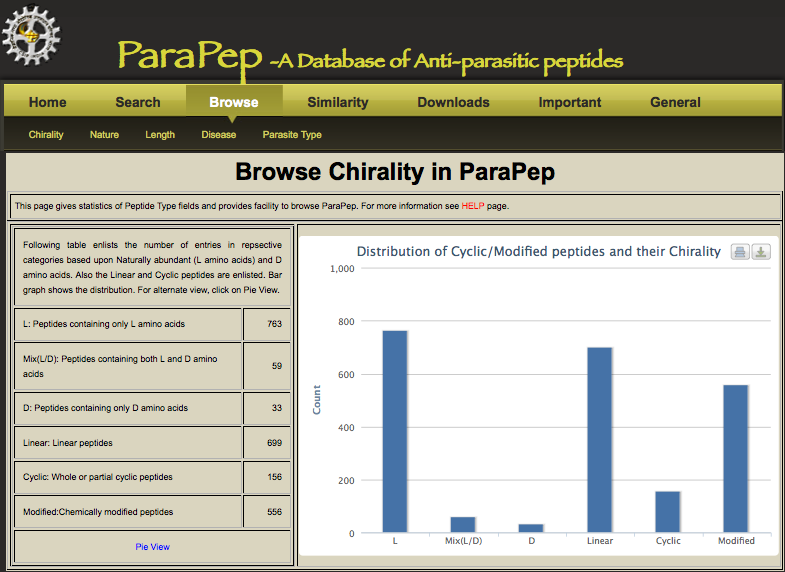 and chemically modified residues. 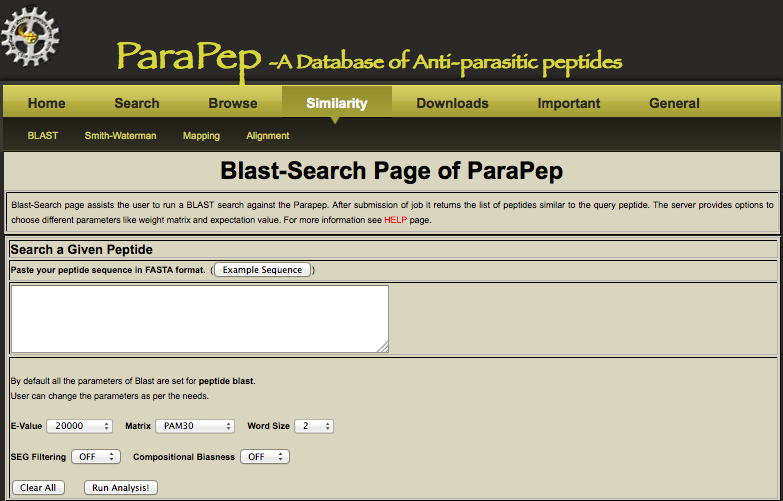 Structure of Peptides: We determined secondary and tertiary structure of each peptide in ParaPep using PepStr software. 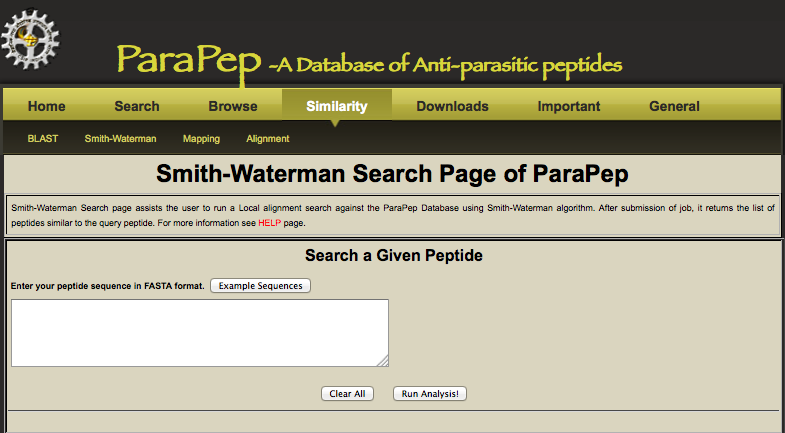 First, we scan PDB to identify all identical peptides to assign their tertiary structure. 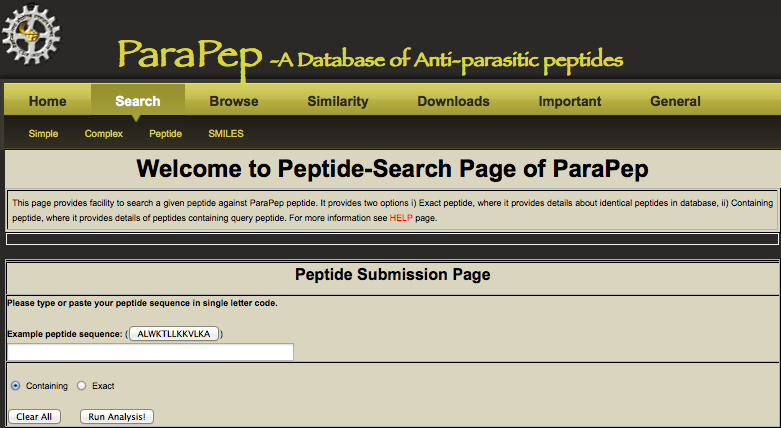 Structure of remaining peptides were predicted using PEPstr. 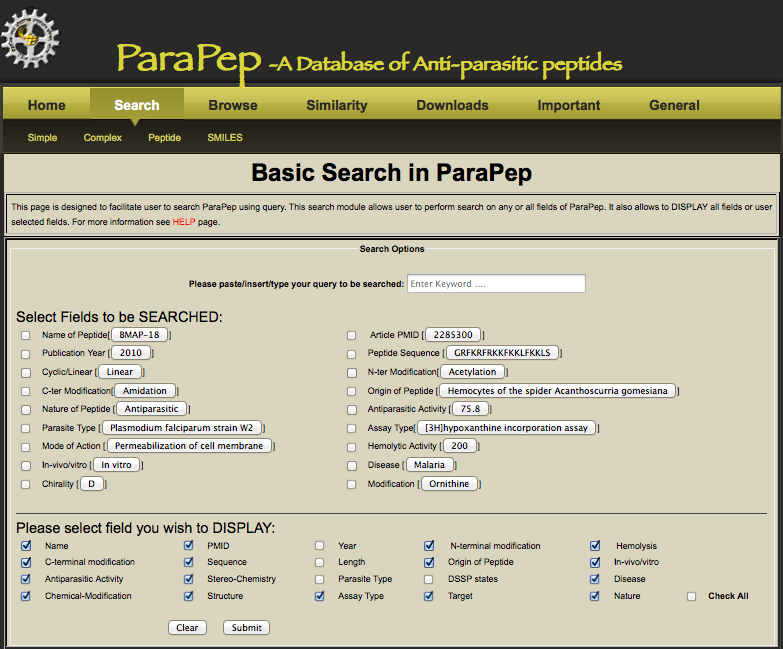 Secondary structure of peptides were assigned using DSSP from their tertiary structure. 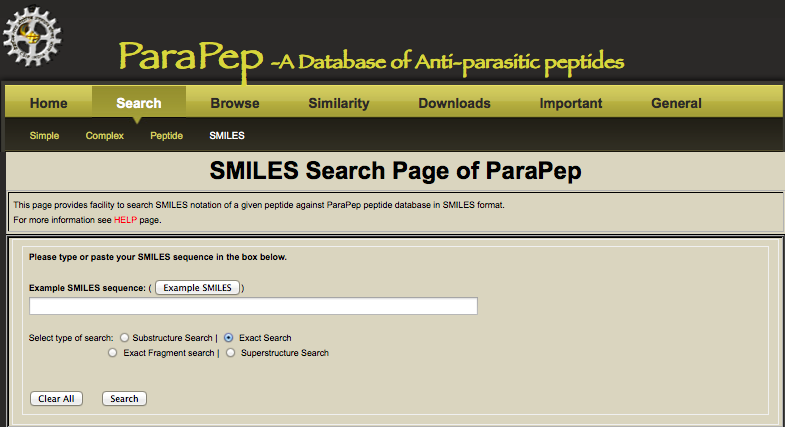 Peptide SMILES: Structure of peptides in SMILES format were complied from literature, as well as generated using openBabel for each peptide. 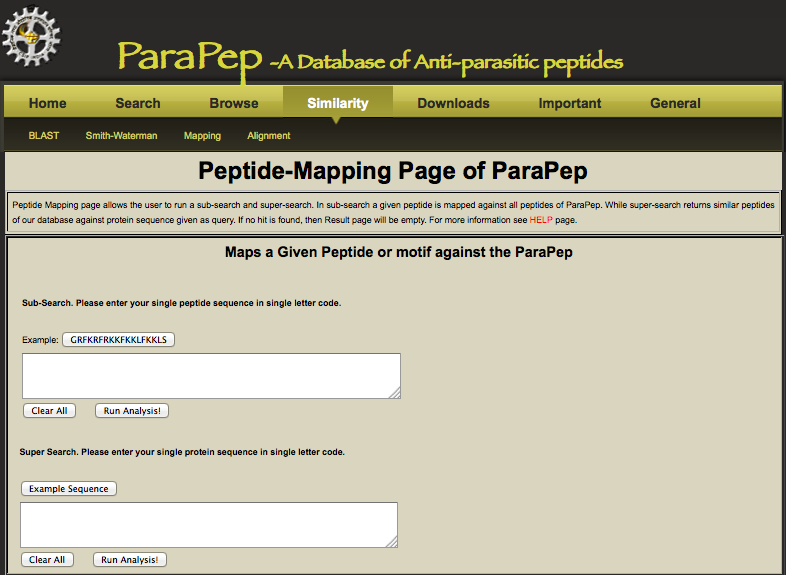 This is important to present peptide in SMILES format particularly for peptides containing non-natural and modified amino acids.